Make sure you're the first person to hear all about our special offers, top filming tips and awesome wedding video examples! Asian weddings are so much more than one day! Why not hire our video cameras and capture your entire Asian wedding - pre-wedding events and all! 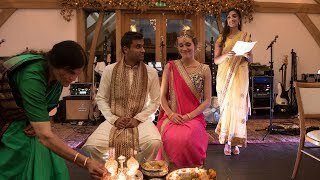 We all know that if you're planning an Asian wedding, a video is a must! Even if you have plans for a videographer, you can also have Shoot It Yourself too. With your friends and family behind the cameras, capture the more informal, fun and behind the scenes moments of your wedding and all your wedding events, through the eyes of the people who love you the most! You can hire our video cameras for a whole week to film the Ganesh Pooja, Sangeet, Mehndi and Pithi parties and everything in-between. Using our professional editing skills, we will then create a fun and unique wedding video that not only captures all the excitement of your wedding day, but also includes a separate chapter of all your pre-wedding events too. Let us turn your home video footage in a wedding video that everyone will want to watch, not just after the wedding but in years to come. 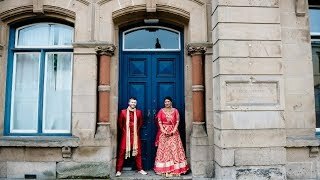 Our Asian Wedding Video packages are totally bespoke and personal to you so you cannot book online. GET IN TOUCH FOR A QUOTE TODAY! Copyright © 2019 Shoot It Yourself. Shoot It Yourself, Office 13, Spinner's Court, 55 West End, Witney, OX28 1NH.